Harry Potter series by JK Rowling – This has to top the list. Even I (reading in tandem with him) felt disappointed when we reached the end of the last book. I must however add that the books are quite dark and I would now suggest that they are started closer to age 11 and over. 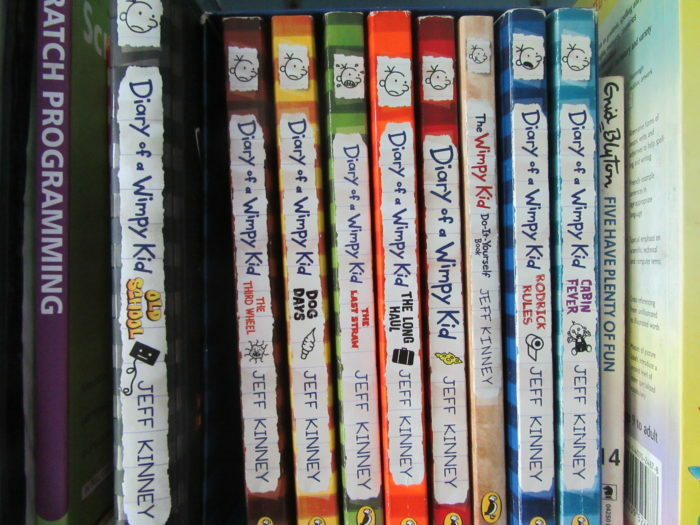 Diary of a Wimpy Kid by Jeff Kinney – I LOVE the sound of Fjord reading these, he chuckles, giggles and roars with laughter. He knows many sections off by heart (and so do we because he reads his favourite bits out to us). This box set has had very good mileage. 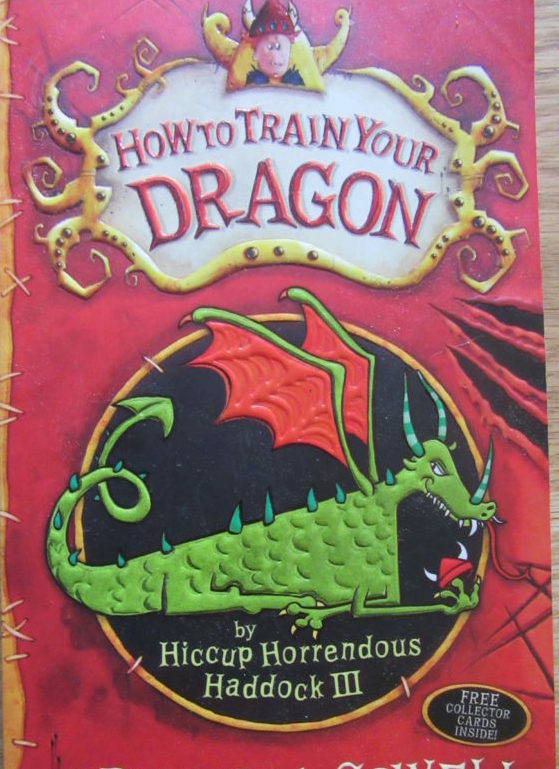 How to Train your Dragon series by Cressida Cowell – Fjord was given the first book for Christmas a year ago and he loved it. The books work out expensive if you buy them all individually, fortunately we found a special for the box set on Takealot and kept it for last Christmas. I’m currently reading the series a book or 2 behind him and thoroughly enjoying the Viking romp. The characters are solid and names are brilliant my favourite must be Baggybum the Beerbelly and naturally Alvin The-Poor-But-Honest-Farmer, turns out to be Alvin the treacherous. I’m about to start book 3. Midnight Gang by David Walliams – My Mum likes to arrive with something for the children when she visits and bought this for them. 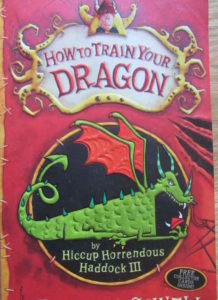 Cliff read it to Acacia and Fjord read it himself, they both thoroughly enjoyed it. Now that I look the author up I see that he has published many other children’s books and is a TV celebrity, hmm I obviously live under a rock. Will look up more by him at the library. Percy Jackson and the Olympians series by Rick Riordan – So far Fjord has only read The Lightning Thief which is book 1 of the series. 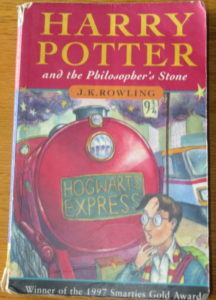 He thoroughly enjoyed it, I need to check if the library have the others in the series. Hardy Boys by Frank W Dixon – These classics remain timeless. Fjord struggled to get into them when he was 9 but tried one last week and really enjoyed it. 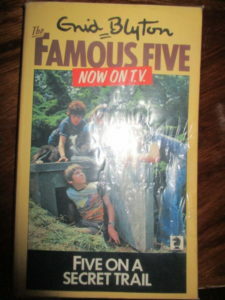 Famous Five series by Enid Blyton – Enid Blyton is the mother of children’s fiction and my children have grown up with her books. Anyone who read as a child must have read Famous Five we’ve also listened to a few on audio books on car trips. Heidi by Johanna Spyri – We have only listened to this as an audio book but the children loved it. They are not interested in Heidi Grows up or Heidi’s Children as they don’t want to think of her getting older, I hope that they change their minds. 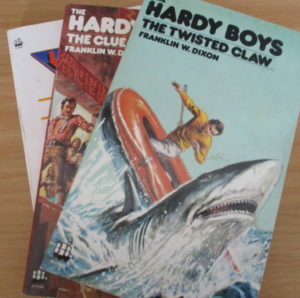 I read all 3 as a child and loved them all, I still remember reading one at my aunt Sandi’s home where she had a cuckoo clock. Written in 1881 the language takes getting into but her word usage is beautiful. Tom Sawyer by Mark Twain The writing style is a little difficult as it was written in 1876 with a Southern American accent but excellent to stretch a young mind. We first listened to the audio book on a car trip and this acclimatised Fjord to the words and style. The humour is wonderful and we still quote from it now and then. The Narnia series by CS Lewis – Fjord loved The Magician’s Nephew but doesn’t want to read the others as he knows that the characters change. I hope that we can persuade him soon. These must have been my favourite books as a child. If you are interested in audio books there are many free offerings for download on LibriVox. Rather than children staring at a screen during a car trip they are a great way for the family to pass the time and still enjoy the scenery. 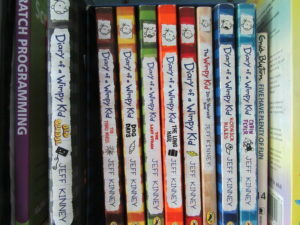 We have Harry Potter and Diary of a Wimpy Kid, still have a long way to go before finishing all the Harry Potter books though. 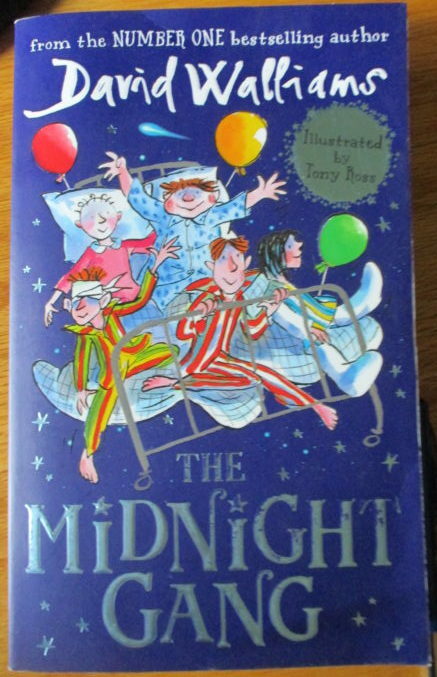 Two more brilliant writers from my childhood are Diana Wynne Jones (the Chrestomanci series & Howl’s Moving Castle), and Joan Aiken http://www.joanaiken.com/, starting with the Wolves of Willoughby Chase. All their books are still in print and have recently been released with new covers by their publishers.